Come for the real thing. American Jazz from it’s early beginnings right up to today’s New Orleans Jazz. With a sound all their own, The Titan Hot Seven light up the stage with a jazz passion that sweeps through the audience igniting fun, excitement and joy. There’s everything from ballads to hard hitting, swinging traditional Jazz. Each set will be new and you never know what’s going to happen, because this journey’s as fresh as the moment and crafted just for you. 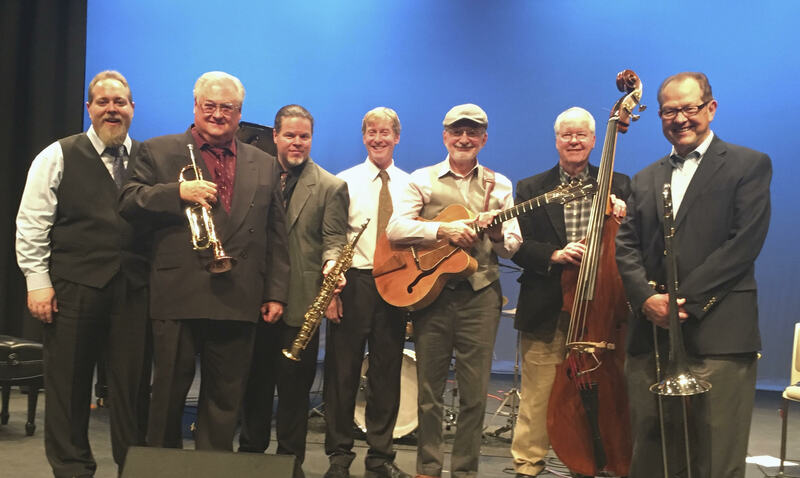 Come with The Titan Hot Seven and experience Real Live American Jazz.